11A and 11B Nozzle | CSESCO INC. The OPW 11 Series automatic nozzles are OPW’s premium conventional nozzles for safe retail and commercial petroleum filling. 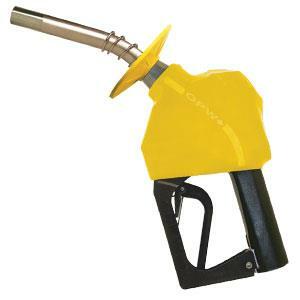 The OPW 11® Series is the most trusted conventional nozzle in the world for full service use. The OPW 11B® Series is designed for use in retail and commercial filling applications including prepay, self and full-service, credit/debit card readers or card-lock systems to help prevent gasoline spills. The OPW 11B® will not open until the pumping system is pressurized, and closes automatically when the pressure is removed.